Dhan Singh was posted here 161 years ago during the First War of Independence in 1857 and is still remembered for his contribution to the freedom struggle. 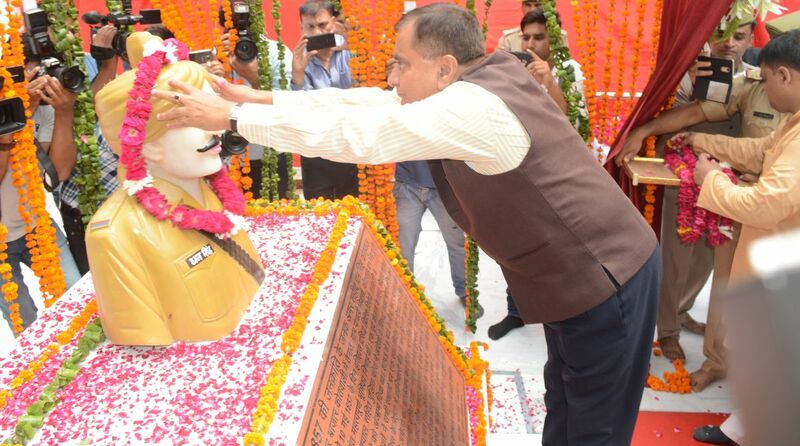 Uttar Pradesh Director General of Police O P Singh unveiled the statue of Kotwal Dhan Singh Gurjar on the premises of the Sadar police station here on Tuesday. Dhan Singh was posted here 161 years ago during the First War of Independence in 1857, and is still remembered for his contribution to freedom struggle. The statue of Dhan Singh Gujjar was unveiled by the DGP in the presence of senior police and administrative officials, public representatives, family members of Dhan Singh and a gathering of people including policemen. Addressing the gathering after the unveiling of the statue, the DGP said it was a proud moment for the entire force to recognise the valour of police uniform by installing a statute of martyr Kotwal Dhan Singh on the premises of the same police station where he had served and made the supreme sacrifice for the country. Even though he was a police officer during the British rule, Dhan Singh had motivated the Indians in the force and other people to join hands against the regime forming groups when the First War of Independence broke out from the city on 10 May 1857. He had also helped release more than 800 native prisoners from jail. In a retaliatory act, the angry British army bombed his native Panchali village, killing over 500 villagers, and hanged over 40 people. Dhan Singh was executed too. In his address, the DGP highlighted the sacrifice of Dhan Singh and said he was the only man in khaki who challenged the British Raj. “His bravery is exemplary for all men in uniform,” he said. The DGP also announced that a chapter of Dhan Singh Kotwal would be included in police training and a documentary made to take his inspiring story of bravery and martyrdom to the public. He also instructed Dr Sushil Bhatai and Ashok Chaoudhary, who did their research on Kotwal Dhan Singh, to prepare a chapter about him with help from Senior Superintendent of Police Rajesh Pandey in another 15 days so that it could be included in the training syllabus from the current session. 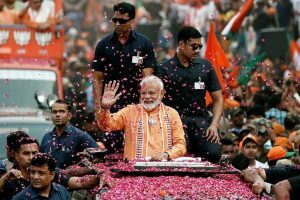 “I have also suggested for a separate section for Dhan Singh Kotwal in the proposed National Police Museum in Delhi,” he said, adding the officials on the project had agreed to it. DGP Singh also released a souvenir on Kotwal on the occasion.